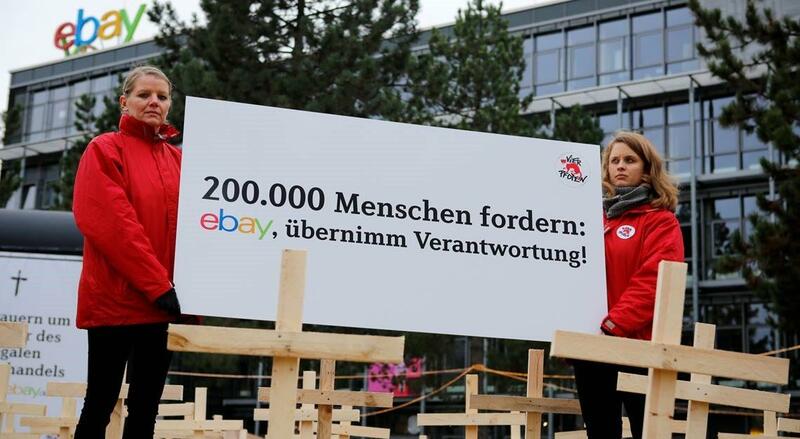 ebay, stand up for puppies! Ricky Gervais, Joanna Lumley and Dame Judi Dench join a long list of high-profile animal advocates who have signed our letter to eBay Inc. calling for the company’s classified ad sites to stop enabling the cruel puppy trade. They join over 210,000 FOUR PAWS supporters worldwide who signed our Thanks eBay petition. This week marks the one-year launch of our campaign, which unites animal advocates, veterinarians, politicians and animal welfare experts around the world in the call for greater regulation of the online puppy trade. eBay are STILL yet to stand up for puppies sold via their classified ad sites! Add a comment on their Instagram. THANK YOU for helping our #ThankseBay petition reach over 210,000 signatures! Because of your support, FOUR PAWS has dealt a devastating blow against the cruel puppy trade this year.